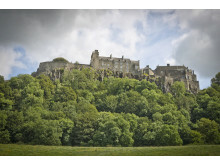 InnovateDigital will take place in the shadow of Stirling Castle. 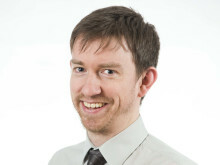 A Scottish crowdfunding expert who has helped budding inventors from across the world raise more than $1 million through innovative online campaigns, will speak at VisitScotland Business Events’ talk on digital collaboration. Kaye Symington co-founded Paved With Gold in 2014 and within just three years has worked with product designers and makers from the USA to Hong Kong, London to Scotland, to help develop their businesses through crowdfunding platform, Kickstarter. Paved With Gold is one of Kickstarter’s specially selected experts and has helped raise more than $1 million in crowdfunding across 15 campaigns. Kaye will share her experiences creating successful crowdfunding campaigns at InnovateDigital, part of the INNOVATETHENATION free talk series, by the Business Events team at the national tourism organisation, which provides a networking opportunity for academics and the business events sector and the potential for future collaboration on business events. 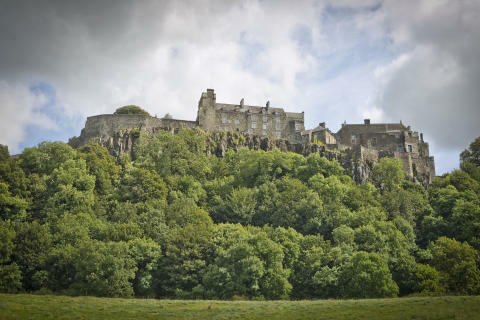 Hosted by Codebase Stirling, and in partnership with STEP Scotland and Stirling Council, the event will explore the latest ideas, trends and innovations in digital collaboration, including crowdfunding, digital democracy and open source public data. It will form part of STEP Scotland’s Digital December Week (4-8 December). INNOVATETHENATION brings together experts, influencers and the next generation of pioneers and innovators in a series of engaging talks throughout the country, exploring the incredible innovation taking place across the country. Previous talks include InnovateLiterature, InnovateRobotics and InnovateFilm. InnovateDigital will also hear from Matthew Davis, Director of Wittin; Dr Greg Singh, Communications, Media and Culture Lecturer at University of Stirling; and Leah Lockhart, who works at the ‘intersection of technology, academia and public service’. “Big data, crowdfunding and digital democracy are just a few examples of the exciting ways in which our modern digital world is creating new opportunities for innovation and engagement. InnovateDigital will explore these themes in greater depth, and in particular take a look at how digital platforms and open data analysis can lead to new collaborations. InnovateDigital will take place on 7 December 5.30pm-7.30pm, at Codebase Stirling, Corn Exchange Rd, Stirling.